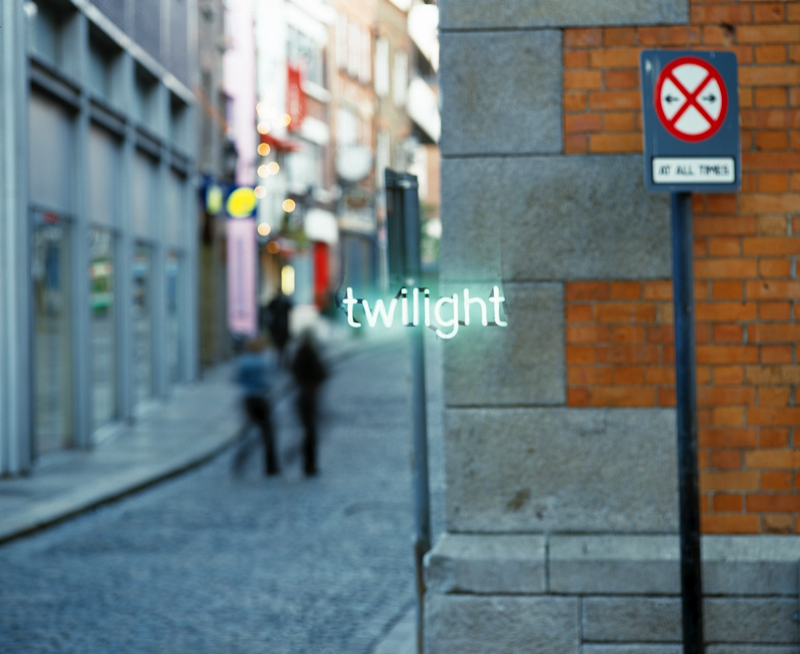 ‘Twilight’, a neon text written backwards, can be read correctly only in the reflection on the window of the gallery. Like an eclipse of the sun, the piece is best seen by looking away from it. This ‘looking away’ introduces a trace of enigma, figuring an intimate bond between the viewer and the artwork through a lack or drift. It addresses the viewer via the distance between the object and the edge of the room. Something is extracted from the object and something returned to it. 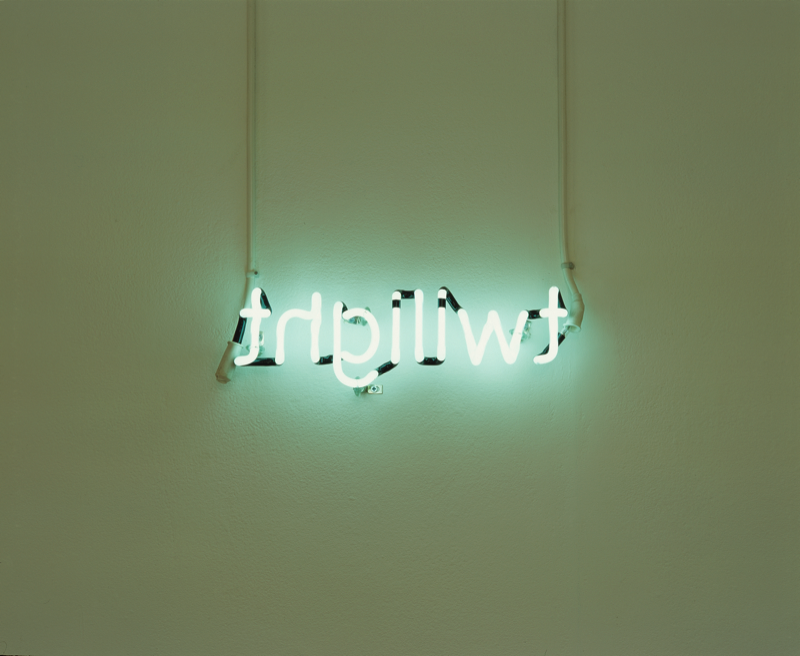 The object is reproduced – must be reproduced for its own legibility – in reflection and thereby surrenders some part of its aura as a unique object. In effect, the work is neither sculpture nor print but a hybrid. (It uses architecture as a screen for an object that it houses). In exchange for this loss of aura, the object regains its alterity, no longer existing merely as the object of attention, as spectacle. It is an object that is needful and dependent, not cut off from everything according to the model of modernist autonomy. ‘Looking away’ is a kind of twilight vision, a form of vision on the verge of not looking, a half-look that preserves the viewer from the tyranny of the eye. This gesture is reminiscent of Caspar David Friedrich’s instruction that before you start a painting you should close your eyes, which supplements and overwhelms the visual with the imaginative and spiritual. Extract from Allegories of Reverie, David Beech.